Click the flyer to read more. This book series focuses on consumption – the engine propelling Asia onto the world economic stage – and its implications, from practices and ideologies to environmental sustainability, both globally and on the region itself. The series explores the interplay between the state, market economy, technologies, and everyday life, all of which have become defining facets of contemporary Asian culture. 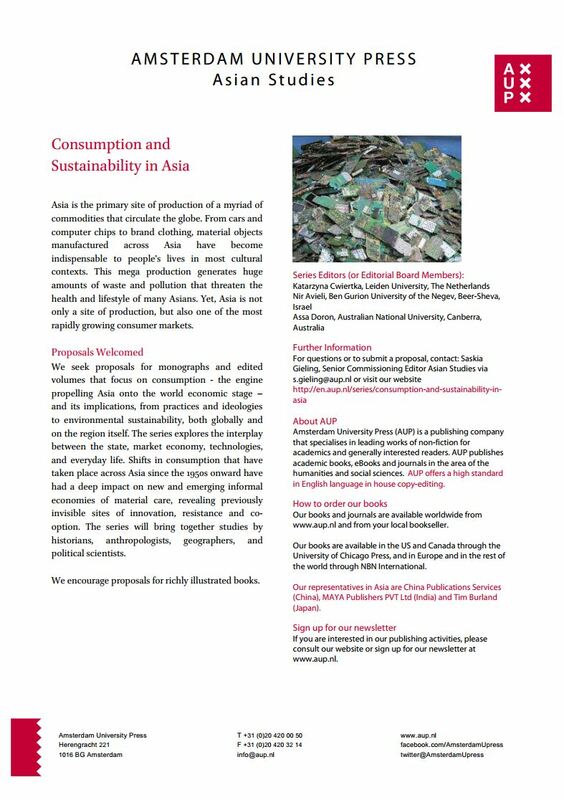 The series will bring together studies by historians, anthropologists, geographers, and political scientists that systematically document and conceptualize Asia’s engagement with consumption and sustainability in the global environment.